Spacious and comfortable guest rooms feature air conditioning, a mini bar, a TV with premium channels, an in room safe, hair dryer, and coffee maker. Relax and pamper yourself while enjoying hotel amenities such as free form pools, outdoor jacuzzi spa tubs, tennis courts, bird watching, supervised children's activities, and a private beach with sun loungers. 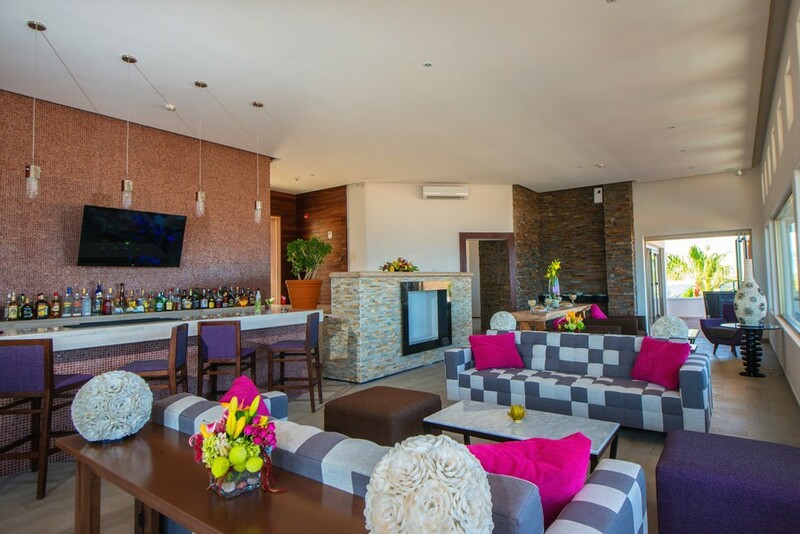 Dining options include a cliff top bar and restaurant with panoramic views perfect for whale watching. Come discover the natural beauty of Mexico at Hotel Finesterra. Incredible 5-Star All Inclusive Beachfront Resort With Breath-Taking Views Built Into The Cliff-Sides Of Cabo San Lucas. This Luxury Resort Is Walking Distance To Shops, Nightlife And The Famous Cabo San Lucas Marina. What a wonderful trip, and experience at Sandos Finisterra! It was our first stay, and really enjoyed all the services from check in to check out. We stayed in a great ocean view suite, it was very very clean and provided all the amenities we needed. We spent time on the beach, at the pool, and in the various restaurants on the property. 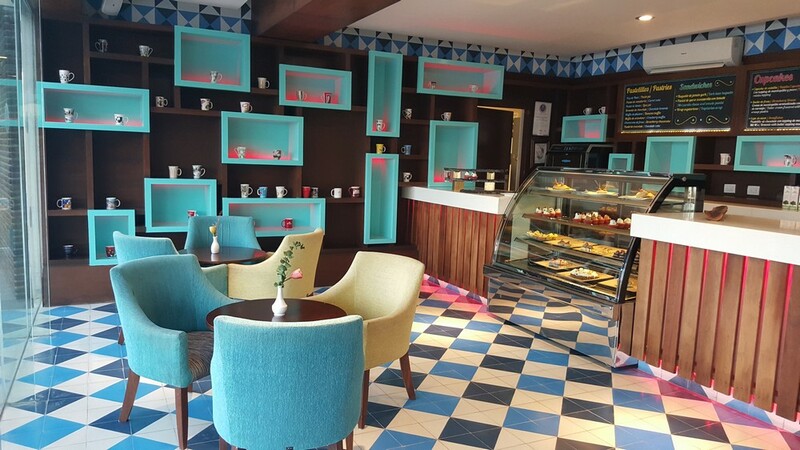 They have added new restaurants, and upgraded existing facilities. The food and drinks provided in our all-inclusive package were tasty and plentiful. Offers a King Size bed or 2 Double beds, private luxury bathroom with Shower, hairdryer, vanity mirror, air conditioning, satellite TV, Minibar, Clock Radio with alarm, ceiling fan, coffee maker, iron and ironing board. A tempting selection of upscale a la carte restaurants, beachfront snacks, laid-back bars and the best breakfast spread you've ever seen. In addition to offering an All Inclusive plan with delicious cuisine and colorful cocktails, our restaurants and bars also have stunning views and beautiful scenery. 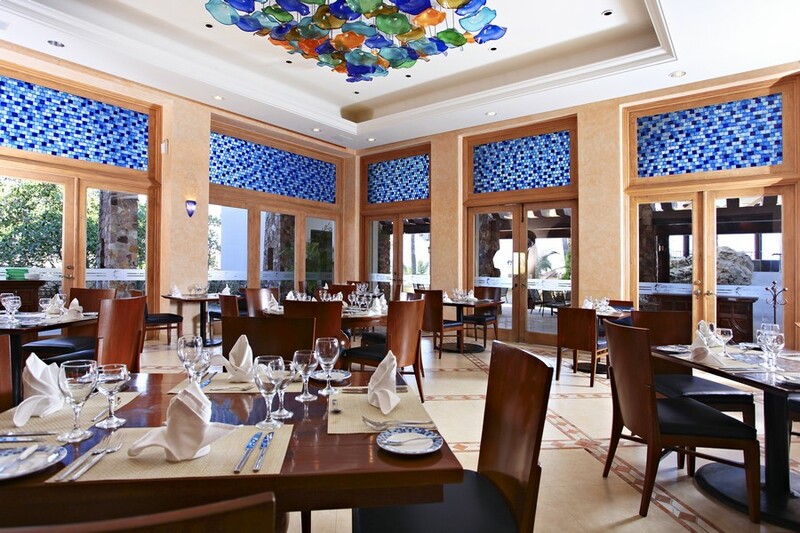 Italian cuisine, offering both buffet and a la carte options. Honestly this is the best vacation we've ever taken. It was simple and easy, literally did everything online. We got a great deal from BookVIP. The resort has been amazing and the service has been excellent! I thought this was too good to be true but folks this is real! The beauty is incredible. The food is wonderful and the sights are unmatched. We are enjoying our trip immensely. It has been a great trip. Come here and enjoy a week here and you will love it. Loved the beautiful marina. Wonderful service, good food and excellent accommodations. My wife and I have had the best time every. We got a really good all inclusive at a really good rate. We've got great pools, the ocean, we've seen whales and sea lions and can't thank Bookvip enough for this incredible trip! This was a week trip with our adult (18 and 22) children. We all commented on how friendly and efficient that staff were, and the spa in particular stood out. Special kudos to Emma in the Spa, Fausto (who makes a mean latte!) in the CupCake Factory, and Alvero and Jorge in the lobby - all stood out in a place that already had great staff. "Great Staff, Location, Food and Value!" My wife and my kids, 9 and 11 stayed at the Sandos Finisterra for the New Years Eve. 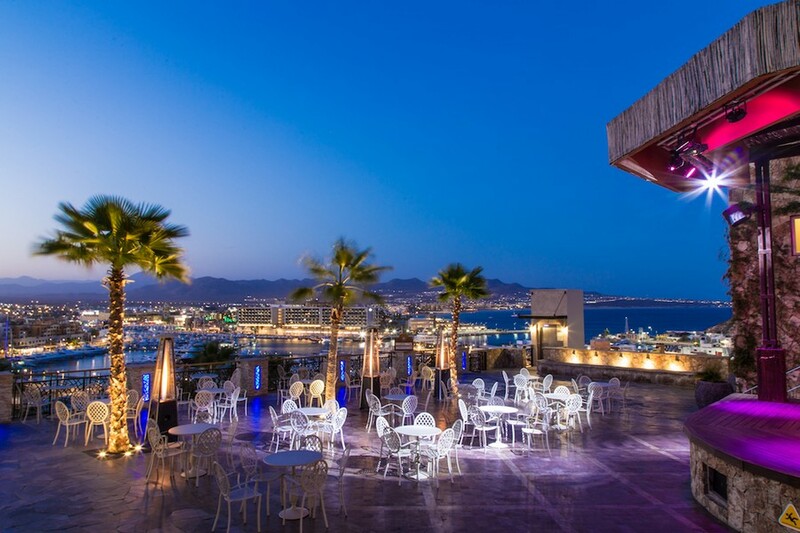 First the hotel has a great Location in Cabo San Lucas (40 min from the airport, walking distance from the marina and the major restaurants, bars and shopping malls. The hotel is in Pacific Ocean side, the beach its very quiet and exclusive but you cannot swim in the ocean, its very dangerous specially for the kids. The hotel has been renovated recently and its divided in two by a high bridge, the far side its the new one, ask always for the new area its better, the oldest rooms are more close to the beach and pools. 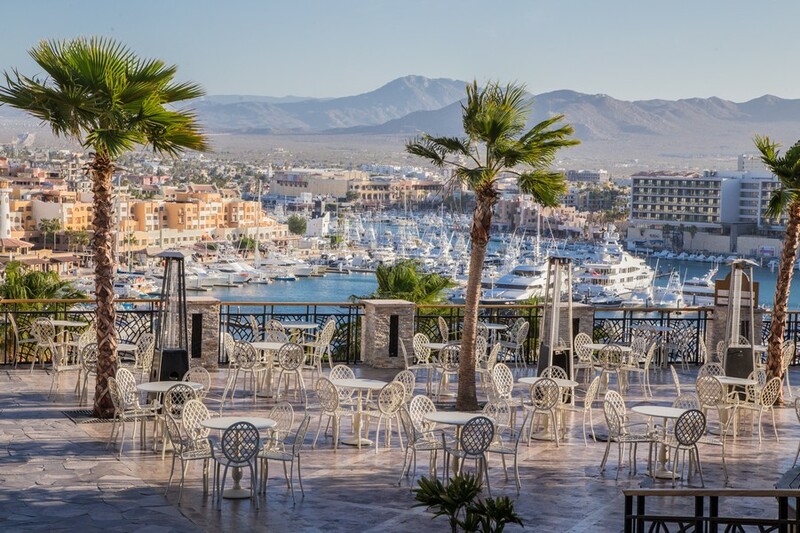 The pool areas and restaurants are also renovated and with great food for an all inclusive hotel, Don Diego Restaurant on the new side must have the best view of all Cabo San Lucas. Possibly one of the best assets of this hotel its the staff, all employees are working hard to feel you comfortable, a special mention to Don Fausto who runs the Cupcake Cafe, great employee but also a great person. The hotel has some nice features, a impressive Spa, a small Kids Club, a huge beach zone to play sports like football, volleyball or soccer, 4 pools 3 in the beach zone, a Cupcake/Coffee terrace with a great view also and some entertainment features, overall it was a great stay a good hotel to go with the family. My sister, her fiance, my wifeand I went down for a week to Finisterra. We were pleasantly surprised when we left. The reviews seem to be mixed but our experience was all positive. The entertainment crew was very friendly and always down for some water volleyball. Anna took the time to sit with us one day and just chat which was very nice. Up at the restaurants Lorenzo always took care of us with whatever we needed. The food was good, the service was quick and the room was very comfortable. We had an excellent view on the first floor of the pool and pacific ocean. The wifi reached us perfectly which was an added bonus. This was our first visit to a resort with an all-inclusive option. We don't have enough all-inclusive experience to rate the food against other similar properties, but really enjoyed the wide range of options provided. We never ate the same meal twice and felt that the quality was good and they replaced the more popular items frequently. Not having to worry about the liquor tab at the end of our stay provided a sigh of relief. You could probably drink yourself silly, as they also replaced items for free in the wet-bar daily. As we were there before the Chrismas/New Year rush, it wasn't as full and we ended up getting quick service at every area of the resort. Oswaldo was a server in the main restaurant who was especially attentive to everyone. The nightly entertainment was fun without being over the top. The spa area was very nice and incorporated the rock upon which it was built into the architecture. They have spa attendants who lead you through the spa circuit before your treatment, which I thought was a nice touch. The spa staff may consider writing instructions in English as the attendants are not all bilingual, even though many are. They also use females in the male spa area and have a common area, so keep your shorts on! Don't forget to tip your food-servers, bartenders, etc. while you are under the all-inclusive option! And tip them what you normally would based on the "true" cost of the meal and service. Perfect location - go out the back door and you are on the Pacific Ocean and out the front door you are at the Marina. Food was very good for an all inclusive. Many pool areas to choose from. The beach had lots of palapas with plenty of loungers available (and attentive staff bringing you free drinks). The view of the ocean and the sunsets were wonderful. The rooms were clean with wonderful views. People who work there were very nice & accommodating. I went with my 2 adult kids and we all had a wonderful experience, from the manager Paulino Emiliano, to some of the waiters like Eric, Anais or Mimi in concierge made our stay wonderful. This resort was recently remodeled and has an amazing view of the Bay & the Marina. We could walk to the Marina and at all time we felt safe. I wish iI had discover Cabo San Lucas before. We will definitely come back. We live in San Diego so the trip is easy and short. Our thanks to the personnel! The Sandos Finisterra was EXACTLY what my husband and I were looking for in an all inclusive resort! We stayed in a 4th floor Ocean View Jr. Suite that appeared to be newly painted and freshened up with new furnishings. The room was clean and spacious and, most importantly, we could watch the whales from our balcony! The bathroom and sink area were lovely and modern. We ate at the resort for most meals and found Agave to be our favorite restaurant, especially for lunch - Angie was great! Don Diego was fantastic for breakfast as well as dinner. The outdoor seating overlooking the Marina and dolphin pool made for a great view! The food was wonderful - we never went away hungry! The dcor in both places was modern and lovely. We spent most of our free time on the beach, enjoying margaritas and watching whales from the comfortable beach chairs provided. The front desk and other lobby staff were great for exchanging money and planning excursions. The grounds were beautiful and very well kept. We thoroughly enjoyed our stay and will be back to the Sandos Finisterra - hopefully very, very soon! One of the best all inclusive vacations ever. The resort was awesome, good location, great food, 4 pools, and super clean. I like to thank the following people, Mary from housekeeping, Lorenzo one of our waiters and bartender, and Freddy the bellman who always had a smile on his face. If you get a chance to go to Cabo San Lucas stay at the Sandos, the resort has everything you need for the prefect vacation. "Excellent, we enjoyed our Honey moon trip there"
My spouse and I spent a week at Sandos Finisterra beginning of December 2013. The hotel is superb. The cactus gardens incorporated in the carved stone buildings is really well done. The location on the beach and sea of Cortes is amazing. The food is great. The Diego restaurant has a great locatio for Breakfast and dinners. 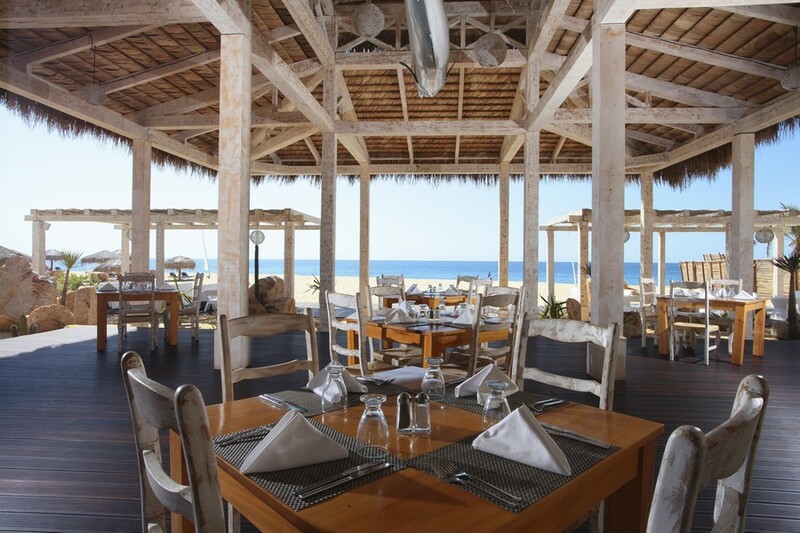 The Tortuga beach restaurant is great for lunch, a small distance from the beach. The staff is very friendly. Special thanks to Joel and Ana for a very friendly Entertainment. "Upgrades and location make this our resort of choice!" We have been to cabo 3 other times, staying at other resorts, this stay was phenomenal!!!!! The location is terrific! We loved it so much, we became royal elite members and can't wait to get back!!!!! The beach and marina views are beautiful, room service was excellent and the cupcake cafe for coffee and chai tea daily was a must do! The resort continues to upgrade and are always looking for ways for improvement. Lorenzo made us feel so comfortable and knew our names after our first day there! The Spa was AMAZING! I had a carribbean breeze massage with sea shells by alberto....your day starts out in a sauna then steam room then jacuzzi then ice pool then massage....all the rooms are built into the standing rock...absolutely amazing and beautiful! We highly recommend this resort! Thanks Sandos for a wonderful trip! We can't wait to see you again! We stayed at the Finisterra the last week of November and the first week of December. This was first time at this resoprt and our second time in Cabo San Lucas and have stayed in Mexico many times over the past 20 years. The property is gorgeous, perched high on the mountain and overlooking both the Pacific Ocean and the Marina. The grounds are well kept and the engineering involved in the building is amazing. Our room was spacious and comfortable on the sixth floor facing the Pacific and the Pool area. We watched whales from our room many days. Our check in was very smooth and quick, though others in our party did experience extreme problems with the process. We found the staff extremely helpful. The restaurants were all very good as were the bars. I really liked the larger than normal poolside glasses used at the pool bar. The drinks seemed to always be top notch and for Canadians it was nice to be able to order a Caeser in Mexico. (not always possible) The Cupcake Cafe was a nice touch but could use more staff as at times it backed up a bit but was always worth the wait. The best thing about the hotel was the staff. Always helpful and prompt. They were fun to interact with and over our two weeks became friends. The rooms were well maintained and immaculate. The bar fridge was well stocked and stayed that way everyday. The location of the hotel was great. A very private beach and yet a five minute walk to the marina. Water taxis anywhere ranged from 5 - 7 dollars. We did find people that had paid up to $90.00 for an arches tour and were in the same boat we just paid $7.00 for! Be careful. Only thing I would suggest is to add Bacon to the morning menu. Two weeks there and no Bacon! There IS very good snorkelling in Cabo...just not off the beach. Pelican Rock gives you some excellent snorkelling with fish species that rivals even the Mayan Coral reef. Five dollar water taxi ride from the dock. Also don't miss going to Medano Beach and the Mango Deck...a lot of fun. Another five dollar water taxi ride (round trip) Overall Impression....would we go back? Didn't want to leave and we will be back! Great location for us to stay that was not on Medano beach. Easy walk to the Marina area and adjacent streets. The rooms were clean and the food was good. Lots of pool areas to really sprawl out. Could watch the Dolphins from the Don Diego buffet. The Blue Marlin required reservations so we ate there one time and the food was good. The service was very good in all aspects and the staff were very friendly. "You need to stay here - we will be back!!!" I went to the Sandos Finisterra for a 40th birthday celebration with 5 girlfriends. It was such a fabuous time, and I couldn't have asked for a better place to stay! The Finisterra had recently been renovated, and it was absolutely beautiful...The rooms were lovely, beds were comfy, and the grounds were gorgeous with great pools and places to lounge. The food was quite good, especially the buffet. The fitness room and spa were perfect. And the staff was very helpful, and not to mention, a lot of fun. We thoroughly enjoyed our experience and would recommend the resort highly. I cant wait to go back and bring my husband and kids next time! "Very nice hotel, great ocean view"
This hotel had very friendly and helpful staff, a lovely property, and beautiful stretch of beach (although it is not swimmable). I was able to see whales breeching from the beach, and from my room's balcony. Property is large, but very accessible. 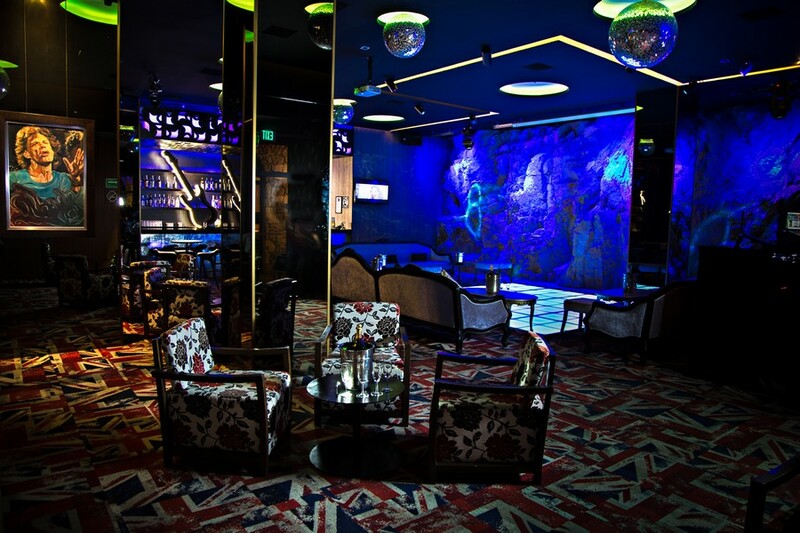 Very nice nightclub, lovely views of the marina as well as the beach from the restaurants. The property is undergoing a bit of renovation, and our room had a few minor maintenance issues. Very comfortable bed, shower a bit low pressure. Close proximity to marina, although hill is quite steep. I was able to walk it after having a knee replacement 5 weeks ago, so it's doable. 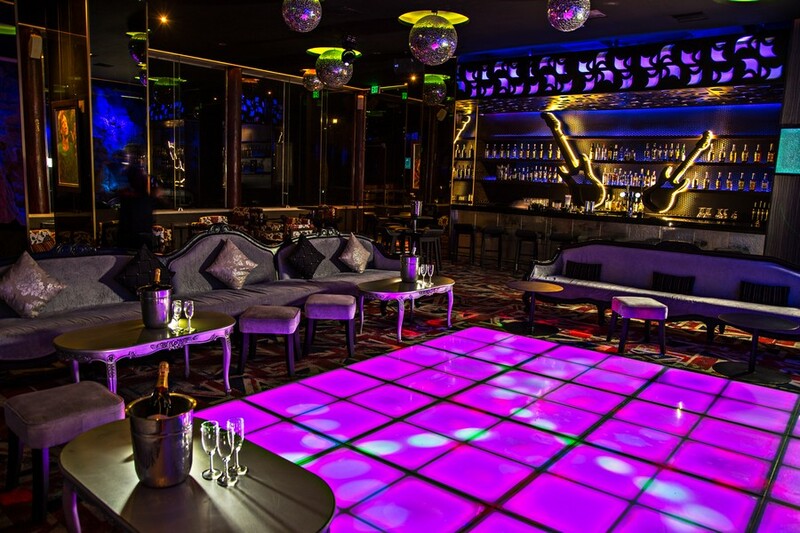 One thing I would add to this property is a bar in the lobby area. Great staff, lovely property, overall very nice. Would return. "Enjoyable spur of the moment trip"
Decided to take a spur of the moment trip to Cabo, chose the Sandos Finisterra. Place was great, short walk down to the Marina area, great beach front on the Pacific Side. Enjoyed doing all inclusive, food was good, drinks were great, the Disco rocked out and the outdoor band was great. If you are an espresso junkie the Cupcake will make your day! You can lay out on the beach and not be bothered by vendors selling their wares, nice change. I can't wait to see it when their remodel is done, if it anything like the new units for the vacation club owners it will terrific! Whales were just starting to go by. Next time we go we will be taking friends and family.